Rent Le Reve Bakery & Cafe | Corporate Events | Wedding Locations, Event Spaces and Party Venues. 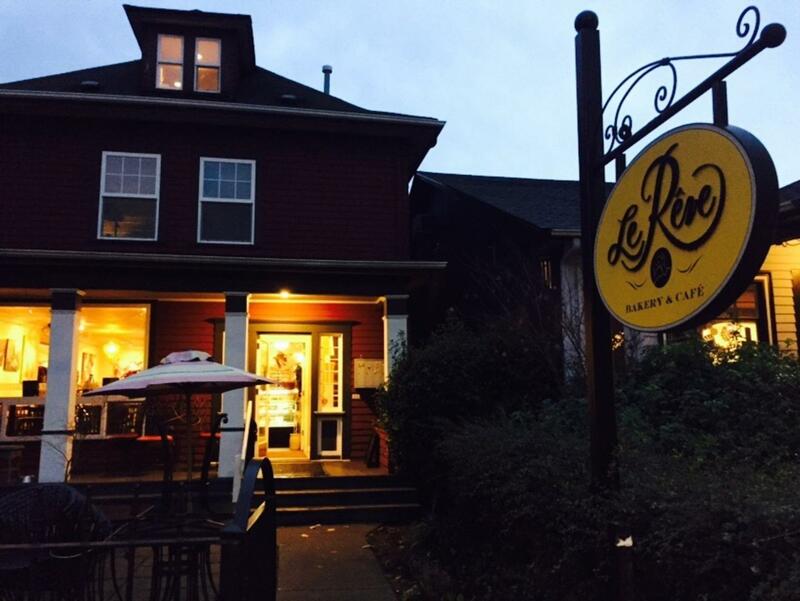 Discover Queen Anne’s community gathering spot, a warm and inviting place with a distinctively French flair. Indulge in sweet and savory pastries, breads, cakes, cookies, chocolates and tarts—all made the traditional French way in small batches from scratch. At Le Rêve, all of our cakes are made to order using the freshest quality ingredients for your special occasion. So whether it’s a birthday, bar mitzvah, anniversary or your wedding day, we’ll create you a cake that’s a true work of art. Layered cakes are available in 3” individual round, 6” round, 9” round or custom sizes. Rectangular sheet cakes are also available. We also offer a whole array of sweet and savory pastries, tarts, chocolates, cookies and cupcakes. We source our ingredients from local vendors because freshness is paramount. This also means our menus reflect the seasons, and what’s available locally. Be sure to check the daily board for seasonally inspired chef specials.